Hello! Happy Halloween! 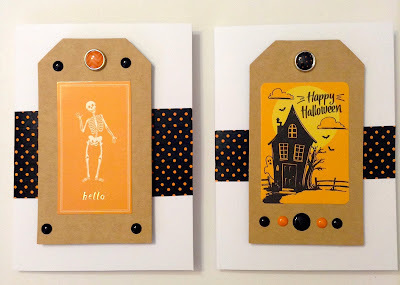 Instead of posting a Halloween project (don't worry I will post a few more in the coming days), I decided that I want to share two Birthday accordion cards that I made a few days ago. Most of the items that I used were from Simple Stories. 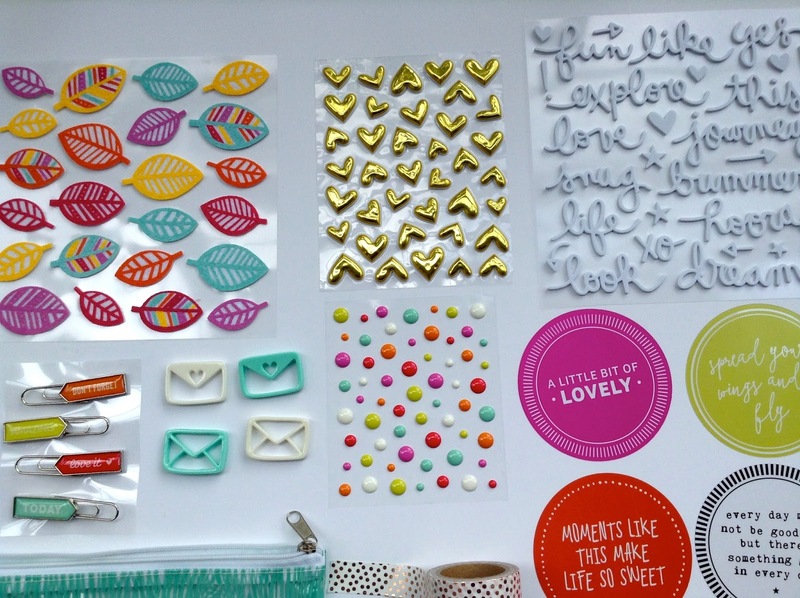 I love their Snap sets because you can make cards, Project Life layouts, traditional layouts, etc. These kits really are amazing. I was running low on some birthday cards again so I made another batch. In order to make an accordion card, I simple adhered two 4x5.5 in. cards together and then decorated the cards. 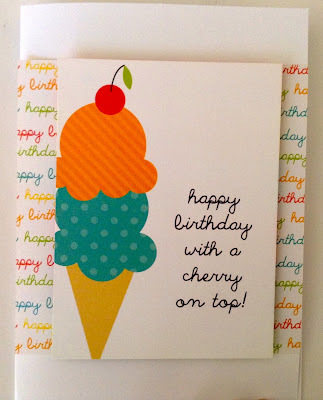 For the cover of card, I used a journaling card and added a Happy Birthday sticker at the top. I left the bottom blank just in case I want to add the recipient's name. I decided to add a folder/pocket in each card so that I could a gift card or cash in it. I love that my gift is basically a 2 in 1 gift. This is perfect especially if I don't have enough time to get to the store to search and buy a gift. This is also perfect if you don't know what to purchase the gift recipient. You can't go wrong with a card and gift card. I added a couple of journaling cards on the back of the accordion cards. I decided to just keep the card simple, but I may add some more enamel dots later on. For my second card, I adhered a journaling card to my card and then used some foam dots on a 3x4 card. Then I adhered that card onto the card. I love the added dimension. I added a blank journaling card so that I can write a message and I also added another pocket. 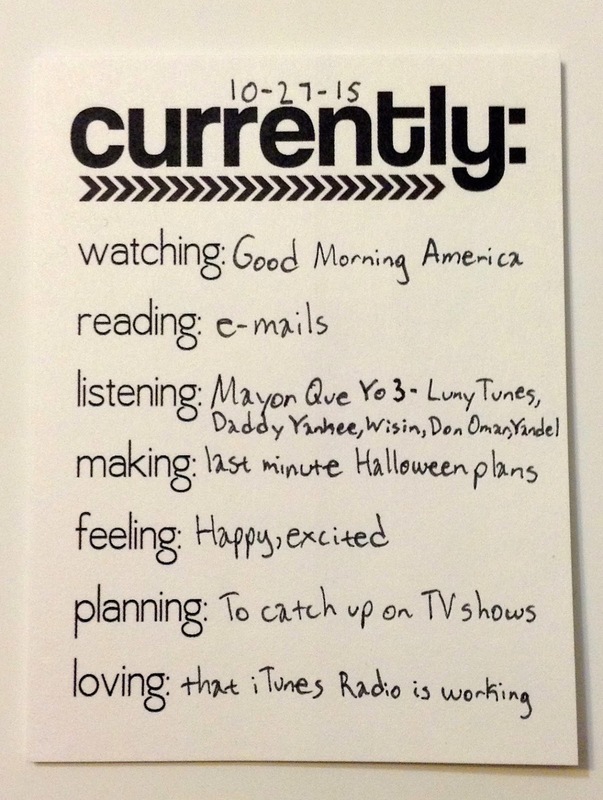 Then I added another journaling card. I added a few more journaling cards, but for the middle journaling card, I added a few stickers. Now I have two accordion cards that are ready to be given to their recipients. How is your Halloween going? Are you making anything today? Hello! Hello! I can't believe that this month is almost over, but I'm really excited that Halloween is just a couple of days away. I haven't even eaten any of the Halloween candy...ok I lied, but those Kit-Kats are just too tempting. Today, I worked in my art journal and ended up just doodling. When I first started my art journal, I felt like everything had to be perfect and that I had to know what I was going to draw. I am still learning that it's ok for things to turn out differently and that it's just feels so much better to start drawing, doodling, etc. 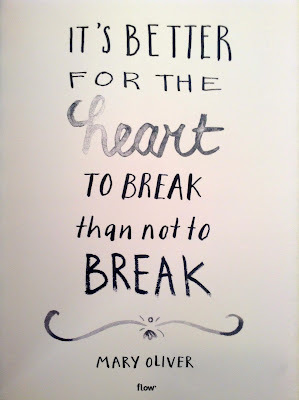 without worrying or trying to force myself to make something perfect. With that being said, I want to share what I made in my art journal. Today, I felt like doodling and writing random words. It may not look perfect, but I am loving the colors. I used my distress markers for my page and love that the markers have both a brush tip and a fine tip. Those markers are so awesome! 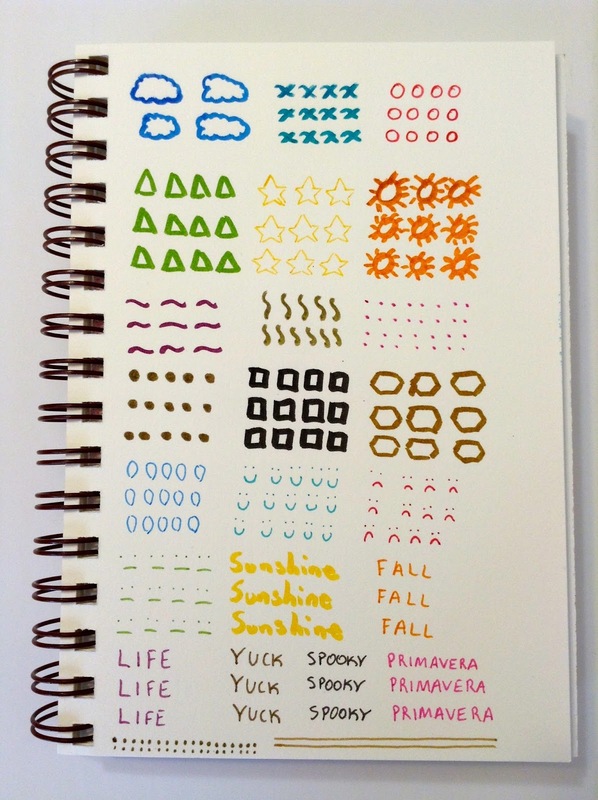 I definitely plan to use my distress markers a lot more and may even purchase another set of markers soon. Watching: I decided to watch Good Morning America today after watching my local news channel. It was a nice, small change in my routine. Reading: The usual...e-mails. I did receive my copy of The Martian that Blogging for Books sent me. I plan to read that in November. I still have to finish reading The Night Circus. I should have been done with this earlier in the month since I got the book in September (? ), but once I found out it would be the book for Kristin's NovelTea Book Club, I decided to read it this month. Listening: I had no idea that there was a third remix/version of this song. Making: I can't believe that Halloween is just a few days away. I have to finish a few last minute plans. I'm so glad that Halloween is on Saturday this year. Feeling: I'm so excited and happy that Halloween is almost here. It's my favorite holiday. I'm also excited because that means that Thanksgiving and Christmas will be here soon. Planning: I can't believe this, but my husband and I have 4 (yes 4!!!!!) episode of the Walking Dead to catch up on! Seriously, a whole month of the Walking Dead! We usually watch them as soon as they air, but we have been so busy and tired lately. Looks like we will be catching up on that and a few other shows today while the boys are at school. Loving: So I have no idea what was wrong with the iTunes Radio, but it was down for at least two days. I'm so glad that it is up and running. Happy Monday! I love these quotes that I find in my Flow magazine. Hello! Happy Friday! It's been about a few weeks or so since the Awesome Ladies Project came back. Each week there will be a new challenge posted on Rukristin's blog, IG, and you can also get an email sent to you with information on the challenge. The first week's challenge was all about entertainment routines. The challenge was to document how entertainment plays a role in your life. 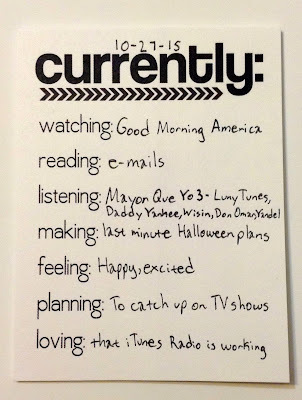 I was inspired by Rukristin and how she documented her Fall television routine. 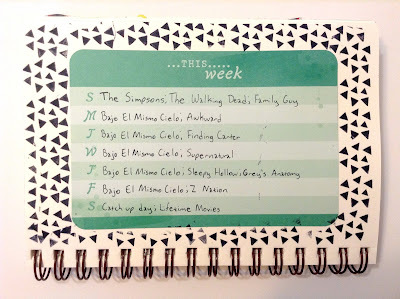 I decided to do something similar and document the shows that I had watched for a week and will continue to watch. It was really simple to make this layout in my art journal. 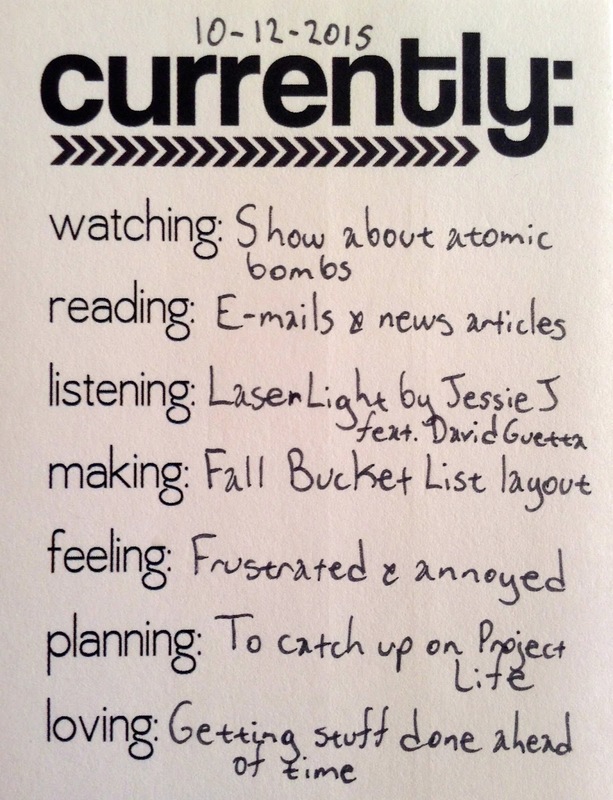 I just filled out the Project Life card. Then I glued it down onto the page. Then I started stamping around the card. I think I probably should have just stamped the triangles first and then glued down the card. Are you participating in the Awesome Ladies Challenge? Hello there! Lately, I have been using my art journal a lot and I have been loving it! 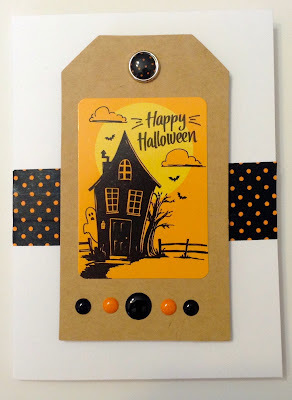 Today, I want to share a Halloween themed page that I created. 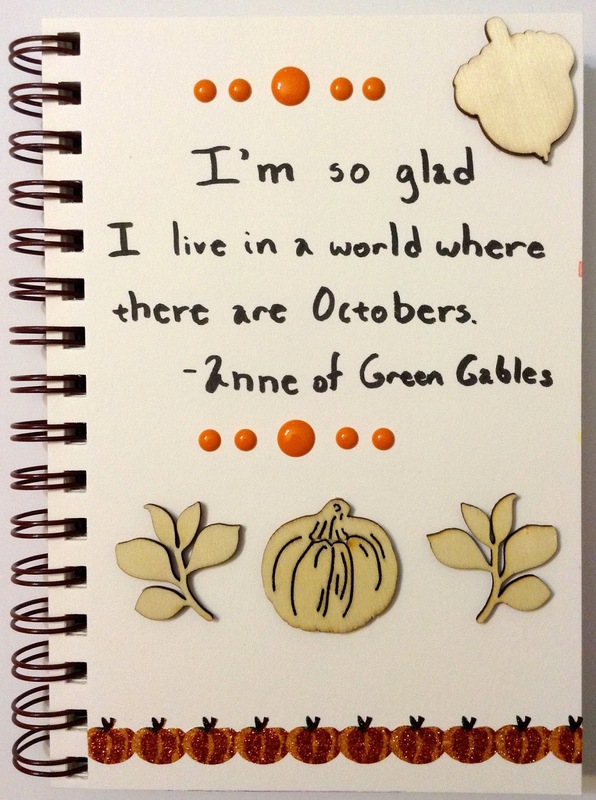 I was inspired by Marcy's scrapbooking in her Traveler's Notebook. You can see her post in Crate Paper's blog here. I wanted to document a few places that we usually go to trick-o-treat. I love that adding stickers can make a list so much more fun. I am in love with Crate Paper's After Dark collection and just knew that I had to use some stuff from the collection. 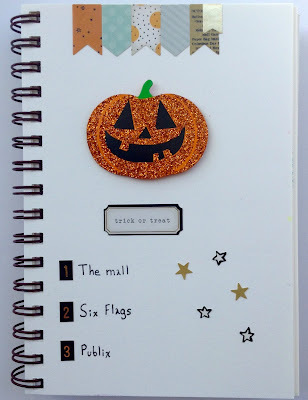 I used Crate Paper's After Dark accent stickers and a Pumpkin confetti that I found at Walmart. 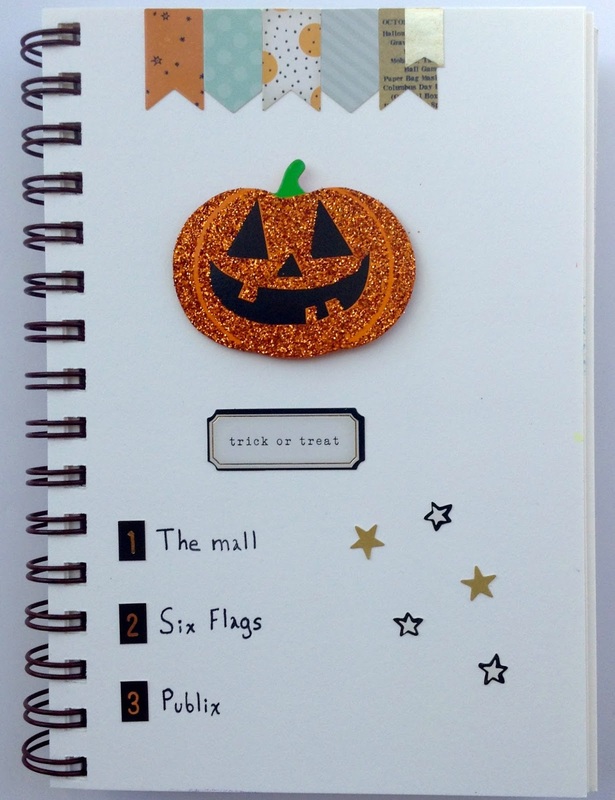 How are you documenting your Halloween? Hello there! Today, I want to share what I received in my Freckled Fawn kit. This company and the kits that they create is amazing! You can find more about Freckled Fawn here. The month is halfway over and I received my kit a little more than a week ago, but I haven't touched it yet (shocking I know). Everything is just so pretty and awesome, but I plan to use my kit very soon. So let's check out the awesomeness that is this kit! I love how colorful this kit is this month and am wishing that I had ordered an extra pack of enamel dots. I'm not too sure how I will adhere the little envelopes, but I do plan to use the paper clips in my planner. Those transparency circles are just too cute! There are two of each circle in a pack. I'm not sure what to use the wood card on...maybe on top of a picture? The roll of washi tape is adorable! I love that the kit comes with a roll of washi in every kit and my washi tape collection is growing even more. I may just make some more washi tape samples. I can't wait to use my kit. I already have an idea on what I want to make using this kit. Do you subscribe to Freckled Fawn? What was your favorite item(s) in the kit? Watching: This novela keeps getting better and better. It's going to be sad when this novela ends. Reading: My Facebook newsfeed has been flooded with funny memes of Drake and his new video...and it's hilarious! I'm loving that the boys are loving books. We've been going to the library every week and they always get about 8-10 books every week. I've also been catching up on some blog posts and there are tons of craft tutorials and recipes that I want to try out now. Listening: I'm not listening to much at the moment...just the TV in the background. 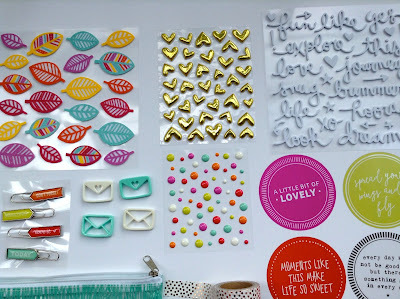 Making: I have been making a ton of cards, tags, art journal pages, and working on my Project Life album. Feeling: I'm really sleepy and really cold. I know that it's Fall, but it just seems that it has been getting cold just a tad bit quicker than I expected. If it could just stay cool, but not freezing that would be fantastic. Planning: I have most of my week planned already, but there are a few things here and there that has to be done this week. The only problem is figuring out which days to take care of those things. Loving: Oh. My. Gosh!!!!! My grocery store just got Starbucks classic hot cocoa and salted caramel hot cocoa k-cups! I'm in love with the salted caramel hot cocoa. Today was my first time trying it and it was delicious. Thank goodness for my Keurig. Seriously, it saves me a lot of money and is so convenient. I highly recommend that you purchase a Keurig if you're a coffee lover, hot chocolate lover, iced coffee lover, etc. Happy Sunday! Today, I made a couple of cards and tags. It took me less than an hour to make these tags and cards. I honestly think it did not take so long because I knew exactly what I wanted to use on my tags and cards so I didn't feel overwhelmed by having a lot of products in front of me. The tags were very simple to make. I just used my Freckled Fawn stamp set, Ranger Archival Ink pad, and some enamel dots. 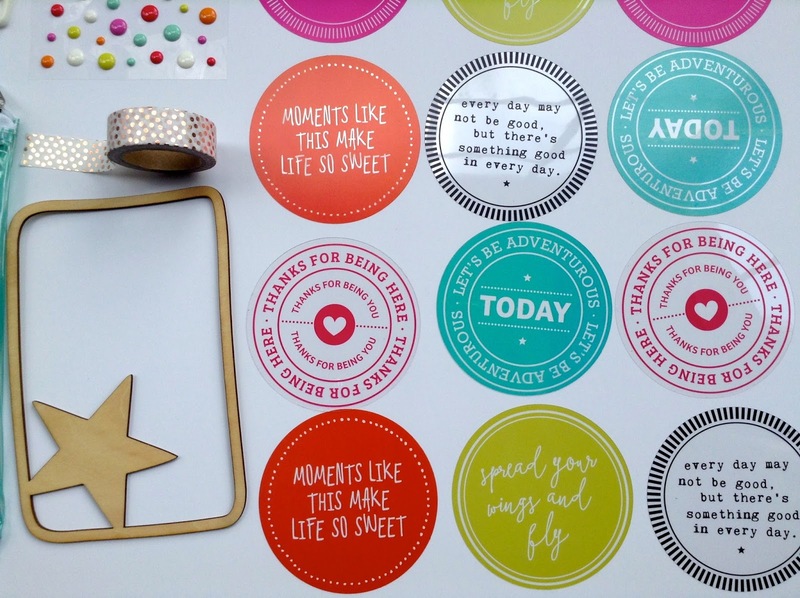 I recommend that you stamp your image on some scrap paper first so that you know how you should stamp your image onto your project. The cards were also simple to make. 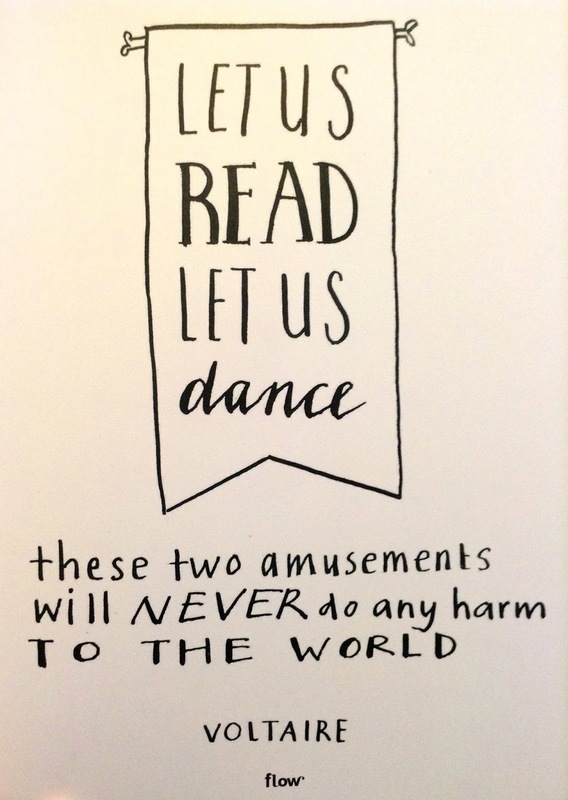 I decided to use two of the tags that I made for part of my card. 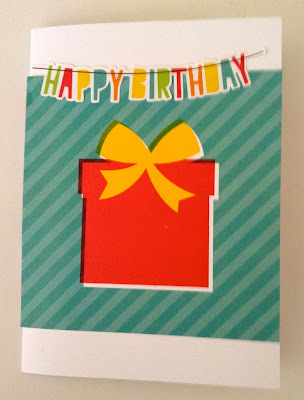 To make the cards, I used some washi tape and applied it to the middle of my card. I took the string off the tag and then added a brad onto each of tag. Then I used some foam dots on the back of the tags and stuck them to the center of the card. Below are a few close ups of the cards. 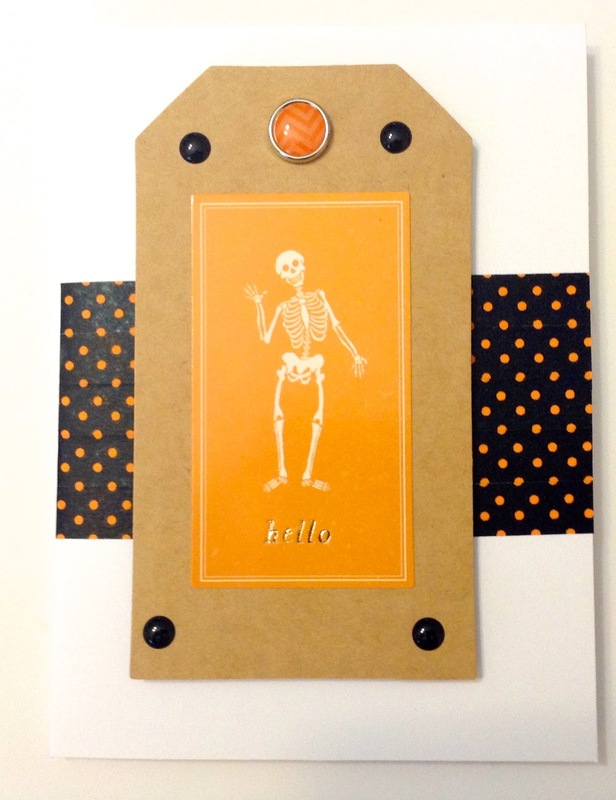 I plan to make a few more batches of Halloween cards and tags as well as some other Fall themed cards. Hey! Hey! I seriously love Fall and have been in the Halloween spirit. 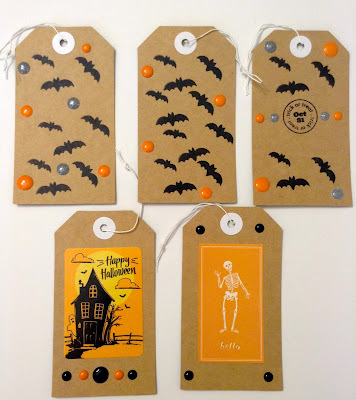 I have been making lots of Fall and Halloween projects left and right. Today, I want to share a few Halloween Project Life cards that I made. 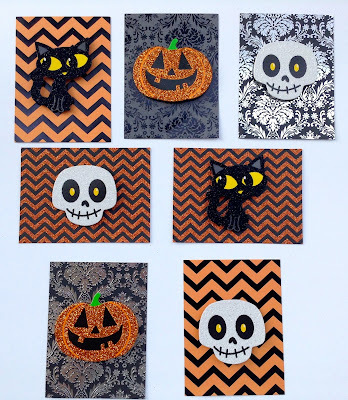 To make my Halloween Project Life cards, I used some Halloween themed Project Life cards from Me & My Big Ideas and some left over skull, black cat, and pumpkin "confetti". I used some pop dots to add some dimension. I thought about adding some enamel dots and maybe some washi tape or stickers, but decided not to. I'm afraid if I add anything else, it will make the Project Life pages a bit too bulky and the cards might not even fit in the pocket due to the bulk if I add anything else. I'm not sure why the manufacturers of the embellishments decided to call them confetti because they are little too big to be confetti. However, they are so cute and I'm glad that I still had some more left. 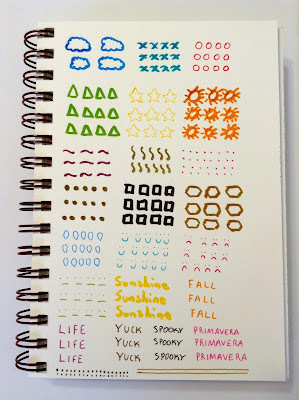 Last year, I blogged about how I used the confetti in my art journal. You can check that out here. 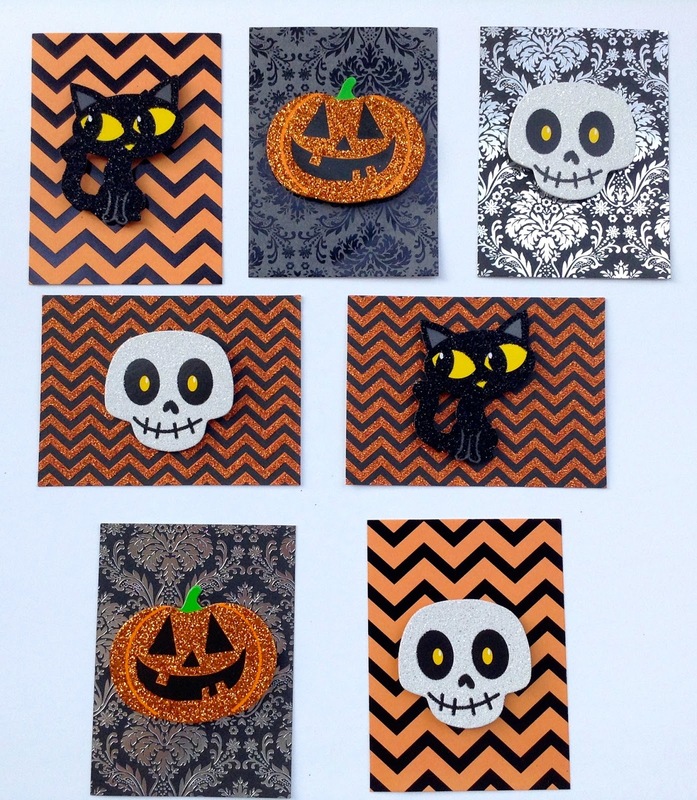 Skull, Black Cat, and Pumpkin "confetti"
Are you in the Halloween spirit? 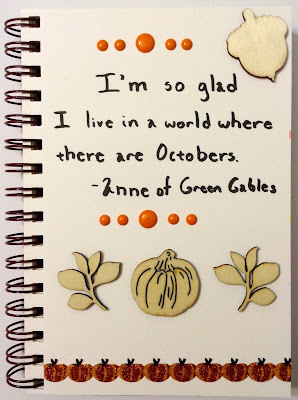 Have you been working on some Fall or Halloween projects? Hey! Hey! Happy Humpday! A few weeks ago, I wrote down my Fall Bucket List, but I knew that I wanted to make a layout or art journal page documenting my list. I ended up making a layout a few days ago and love how it turned out. I've already started working on checking some things off my list. We already watched Hotel Transylvania 2 which was such an awesome movie. Seriously go watch it. I also tried a new recipe. 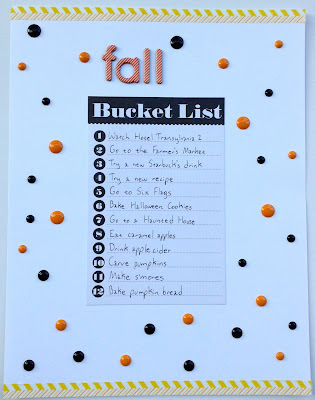 I can't wait to start checking off even more stuff on my Fall Bucket List. Watching: There was a show on TV about atomic bombing of Hiroshima and Nagasaki. I don't even have the words for what I saw. Reading: As usual, I caught up on some e-mails and read some news articles online. Listening: Normally, when this song comes on the iTunes radio, I just immediately change the song. I'm not sure why I always changed the song, but I always did. Since I was washing some dishes, I just decided to let the song play. It's actually a decent song. 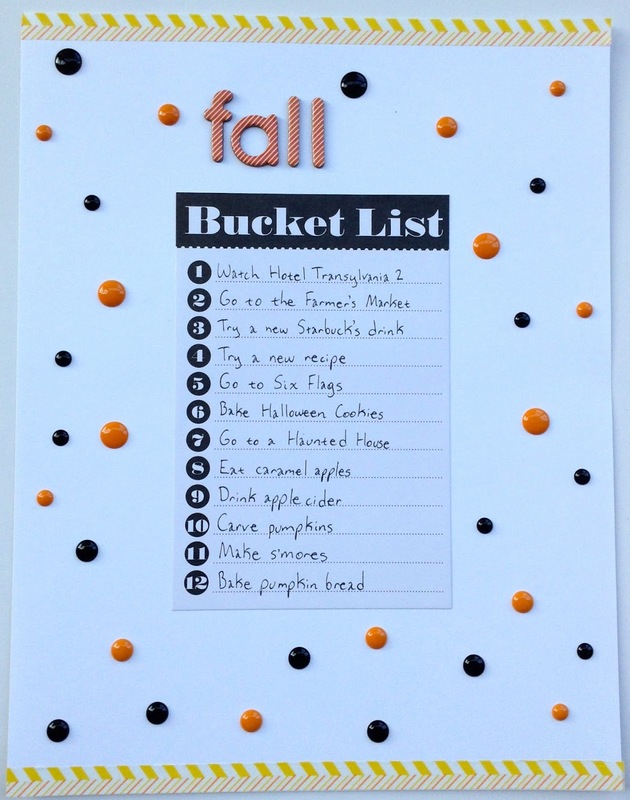 Making: I wrote down my Fall Bucket List and decided to make it into a layout. I also have a few other projects that I have been working on. I plan to blog a lot this week and post my projects that I made. I plan to call this week Fall/Halloween Week on my blog because most of my projects are related to Fall and Halloween. 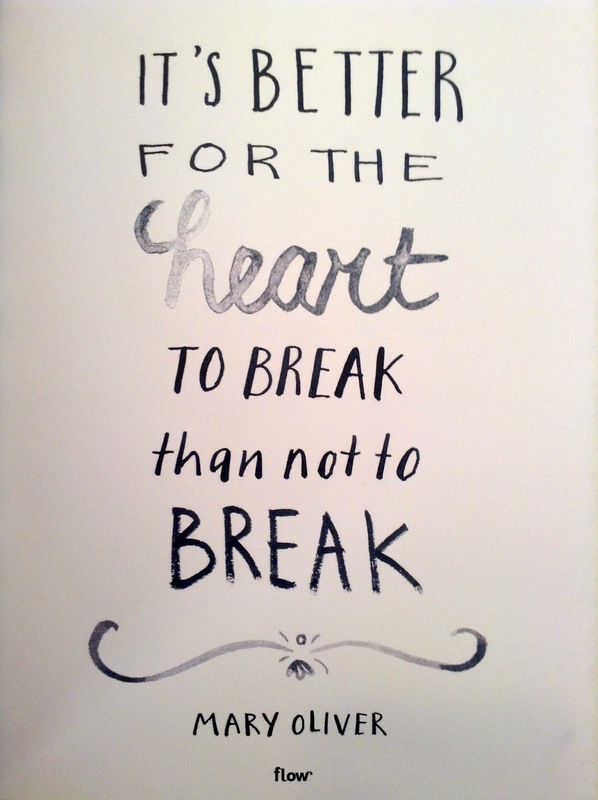 Feeling: Today has been just one of those days where so much stuff just went wrong. I'm just glad that I was able to get most of the stuff on my to do list done. Planning: I still have a few weeks of Project Life that I need to catch up on. September was a crazy month for my family and I. We are still adjusting to a few amazing changes, but we are starting to figure out this new routine that we have. 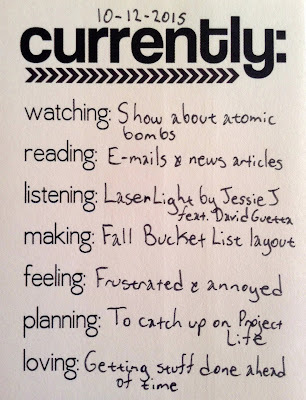 I'm hoping to catch up on Project Life by the end of this week. Loving: Even though today was not so great, I love that I was able to still get a ton of stuff done. So...hooray to have a semi free week! A few weeks ago, I received my third book from Blogging for Books. 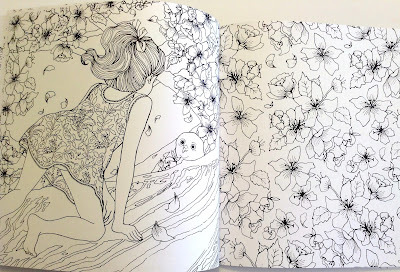 I chose to review The Time Garden by Daria Song. 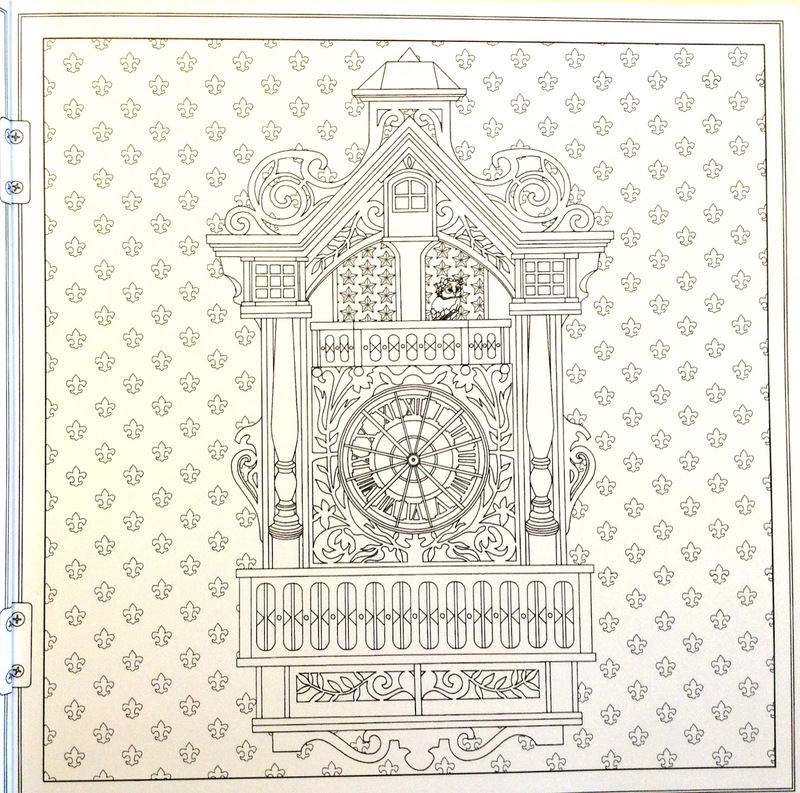 The Time Garden is a coloring book. It does have a short story included throughout the pages as well. The story is about a little girl who is curious about an antique clock that her father brought home. During the night, she decides to take a closer look at the clock and winds up going on an adventure. 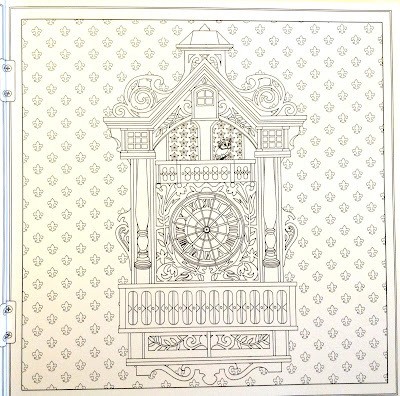 The book has a jacket (cover) that can be taken off and colored as well. 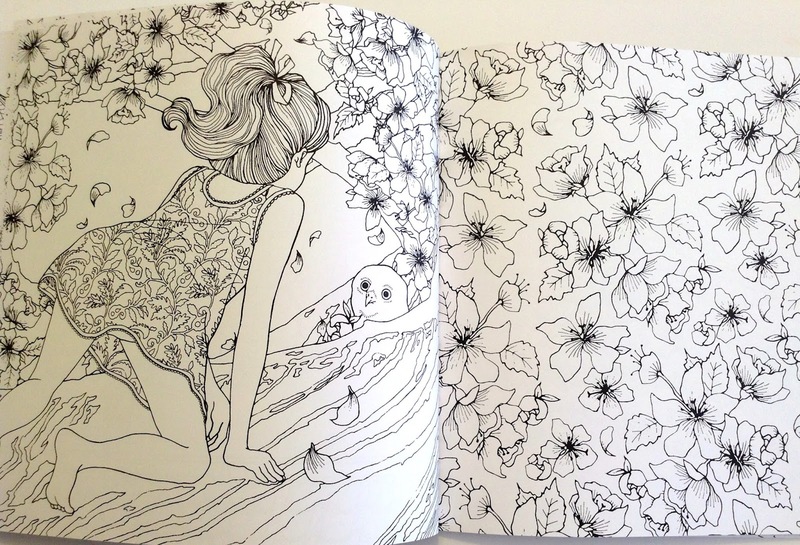 The pages are very detailed and are perfect for everyone especially adults. I think this book would suit adults better because there are a lot of small details in the drawings. The pages are not too thin, but they are not very thick either. I recommend using colored pencils instead of markers. Do you have a copy of The Time Garden? What are your thoughts on the book? Hey there! 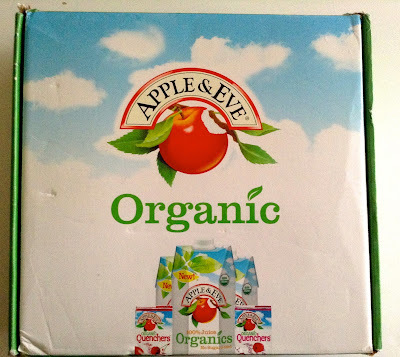 I was very excited when I found out that I had been chosen to review the Apple & Eve Organic juice voxbox. I loved that the box included juice boxes for my sons as well as a large carton of juice. 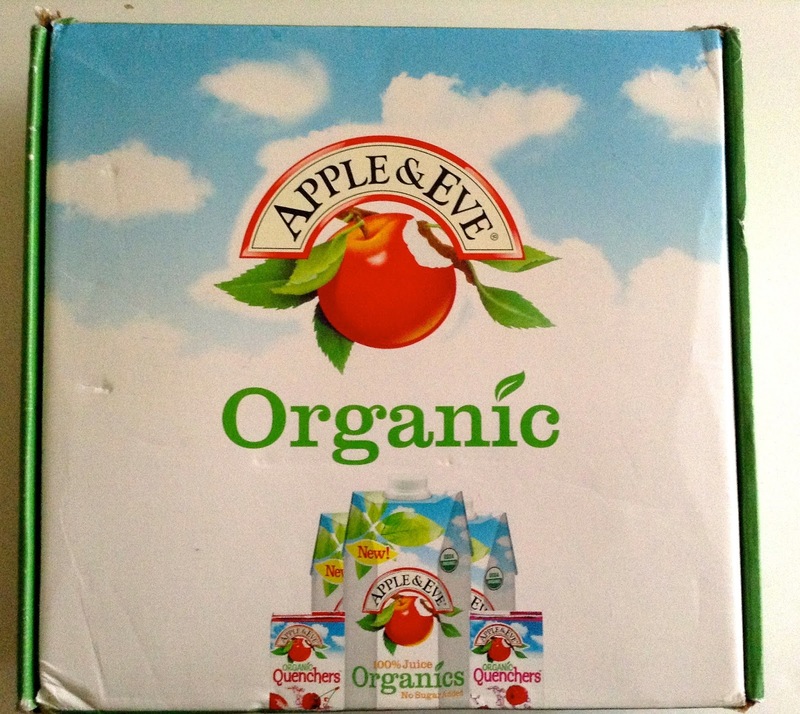 I have tried Apple & Eve juice before, but not any of the flavors that were in the voxbox. I received 3 juice boxes in Fruit Punch Burst, Berrylicious Lemonade, and Razzberry Apple Splash. The large carton of juice was Orange Pineapple. I love that these juices are healthy, organic, and they taste amazing! The juices are low in sodium and calcium. These juices are great in smoothies as well. Hello! A few weeks ago, I received the Tastykake voxbox from Influenster. Influenster is an amazing company and you can learn more about them here. I received some peanut butter cupcakes, a couple of coupons, a party hat, and a cup holder in my voxbox. I really liked the cupcakes. They were sweet, but it was the perfect amount of sweet. One pack was enough to satisfy any craving for sweets or treats which is awesome. The cupcakes really did taste like a Reese's peanut butter cup except in the form of a cupcake. I have noticed that other snack cakes are sometimes dry, but these cupcakes were not which is awesome. All in all, I would give these cupcakes an A. I plan on buying a few other flavors to try. I plan to pack some the cupcakes in my husband's lunches and these will be perfect little treats for my sons. Hello! I didn't get to post my Currently List yesterday. It was such a busy Tuesday and I was beyond exhausted so I decided to share my list today. Watching: I could watch Law & Order: SVU all day and never get tired. It's such a good show. 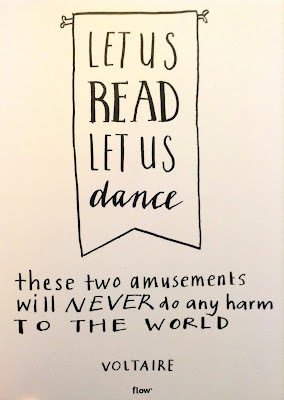 Reading: I still have a ton of blog posts to catch up. I've been reading a lot of news articles especially the ones about the flooding in South Carolina. Listening: This is one of my new favorite songs. It's been on repeat today. Making: I have so many blog posts that I need to work on and I've been making lots of lists as well. I'm hoping to get most of my blog posts done by the end of this week. Feeling: So many awesome things have been happening so I've been feeling great. I also have been feeling really excited. I'm not too sure why I'm feeling super excited, but I'm thinking it's because it's finally Fall and Halloween is just a few weeks away! Planning: I found this cool crockpot meatballs recipe here. I plan on making it tomorrow and I can't wait to see how it turns out. 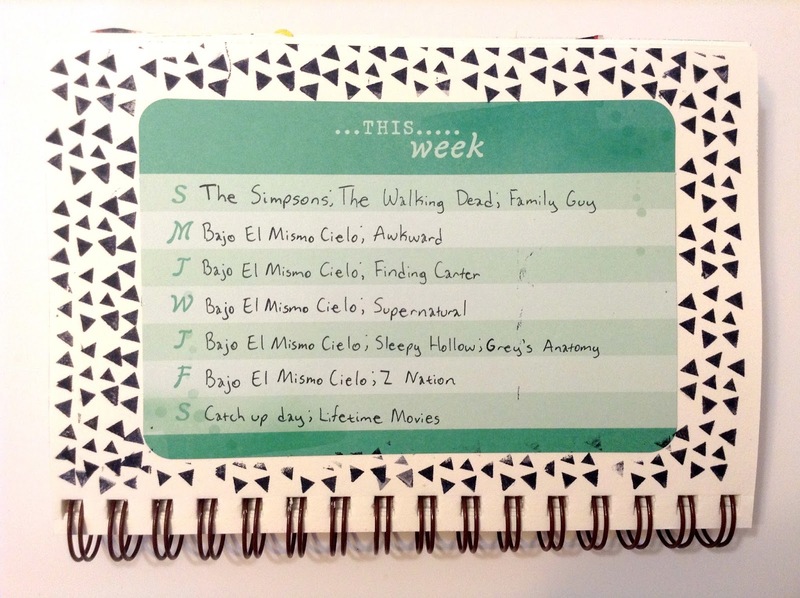 Loving: I'm loving the cooler weather and all the Fall/Halloween movies that are on TV now.